Miraculous: Tales of Ladybug & Cat Noir: It's Ladybug! The world needs more female super heroes. In our car these days, Splash N Boots is on repeat. There's one song about how Hannah is a Super Hero, and she loves wearing her Chuck E Cheese cape around the house, saving me and her stuffed animals from "danger". 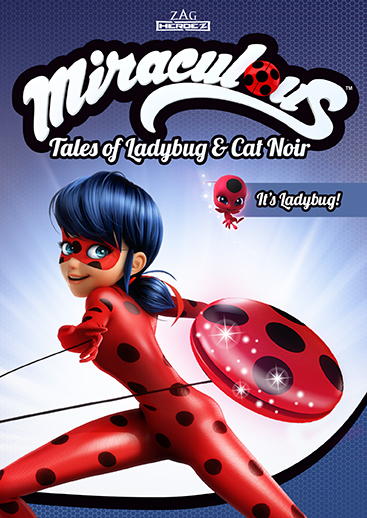 Therefore the new Miraculous: Tales of Ladybug & Cat Noir: It's Ladybug! DVD is right up her alley.